I do not just say that the Bible is a book of the highest standards of moral. It is what the book says and the book itself can prove it. There are so many books regarding moral that now exist in the world. But the Bible is above them all. And it can be proven by the teachings of the Bible. According to Joseph Smith, which I will call a false prophet, this is a revelation that he received from God. I know that Joseph Smith has his god and his god is not the God of the Bible. I do not even want to call this group The Church of Jesus Christ of the Latter-day Saints. With the standards of morality in the Bible the Mormons cannot be considered saints. Pardon me for saying these words. Although it was said before my time, before I was born, I’m concerned about this for my fellowmen. Why? 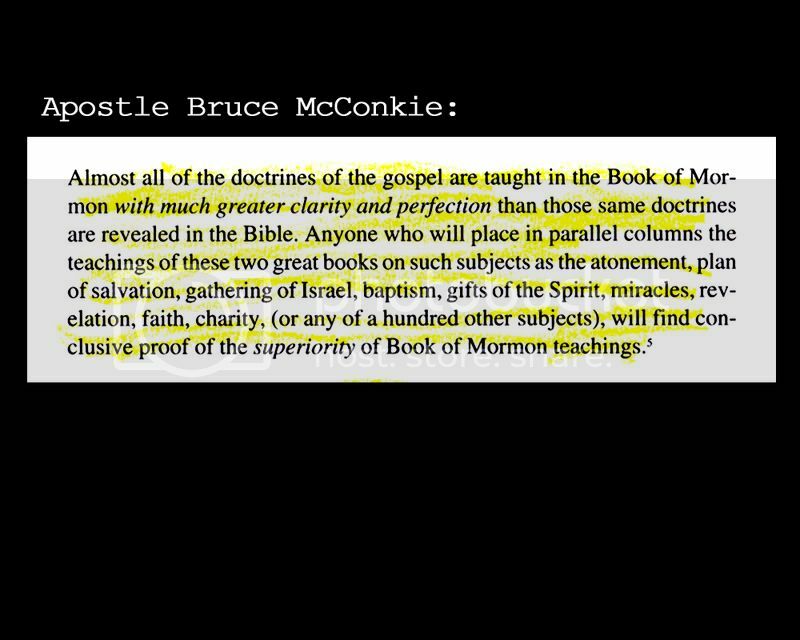 This is a blasphemous statement because it places the words of Joseph Smith far more superior than the word of God, and that is blasphemy. God tells us the highest standard of morality in the life of a married person – to have only one wife. Joseph Smith tells us that it can be ten, especially if they are virgins. But Joseph Smith himself did not follow such revelation. He accumulated 48 wives and most of them were not virgins. They were wives of his co-ministers in their church. Imagine, is there morality in there? Let us ask a former Mormon member. What is the first problem they encounter when they abide by the wrong teachings of the Book of Mormons? Number one is jealousy. “For where jealousy and selfish ambition exist, there will be disorder and every vile practice. Then the family ties and values are intact and there is no place like home if the home is where the word of God and its morality dwells. Coming home to a home with women competing to be a desirable wife for only one man and with children competing to be heirs of the riches of only one man is just like coming home to hell. You may comment and suggest and add to what has been laid in this article.